Nathan Williams of Wavves. Photo by Macey Norvell. Wavves began their set Thursday night set in Kansas City with "Way Too Much" and fans were moshing immediately. The band kept a steady pace throughout the evening, only stopping for whiskey and banter from frontman Nathan Williams. The audience was equally receptive to music from their newest album, "You're Welcome," as they were to old songs. Though it has only been out for a week, the fans were singing along passionately. 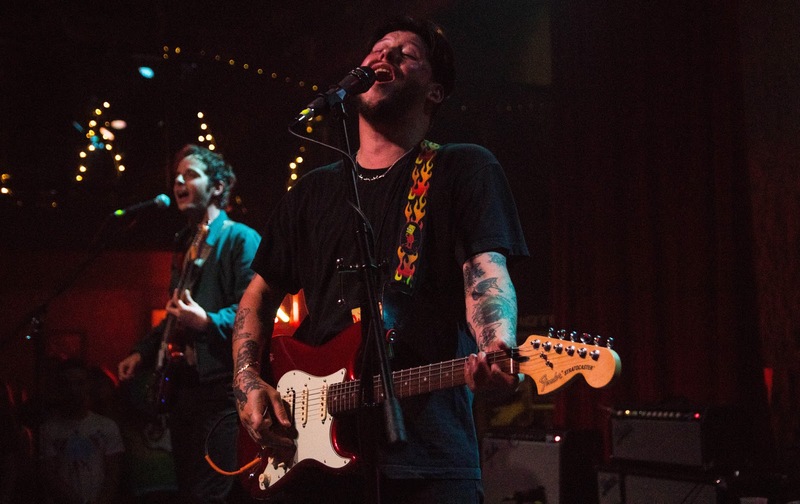 Wavves' live show perfectly matched the sound of their recorded albums, and their infectious energy made their beachy punk sound even more enjoyable. Their supporting band, Kino Kimino, had a style reminiscent of Sleater-Kinney and was well-received. During one of their songs, they pulled two women from the crowd to dance on stage. They ended their set with a cover of Cracker's "Low" which made for a memorable audience sing-along and left the crowd excited and ready for Wavves to take the stage.